So good! cant wait to try them! 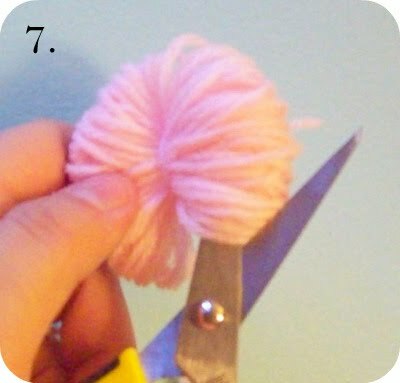 You don’t have to go out any buy a fancy pom pom maker tool.. all you need is yarn, sharp scissors and your Lovely hands!! 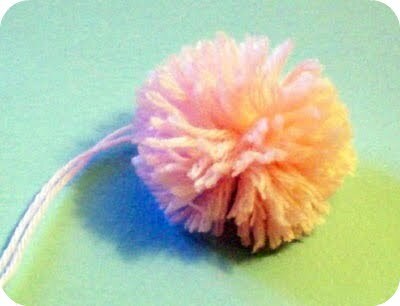 My mom taught me how to make these when i was a little girl..
1.Start by choosing how big you want your pompom. I’m using 3 fingers for this pompom tutorial. to make it bigger or smaller just add or take away fingers. 2. Wrap yarn around fingers- I do 60 turns around my fingers to get fuller prettier pom poms. 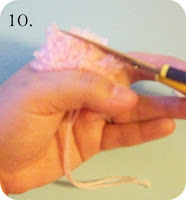 3.Slip out your ring finger so you have room to work with. 4. 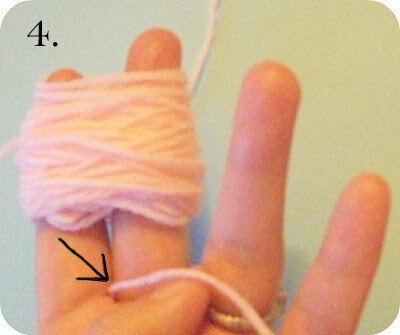 Slip in a strand of yarn in between your fingers (see where the black arrow is pointing). 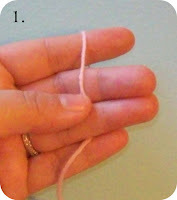 5.Tighten the string really tight and knot. There you have it! 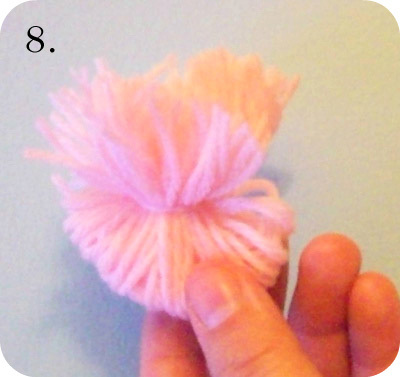 your very own Fringe Pompom! 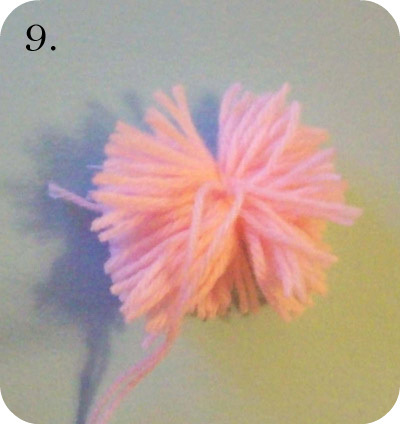 they could be used for so much more than just a knitted hat topper! All things were made by Him (Jesus) ; and without Him was not any thing made that was made. 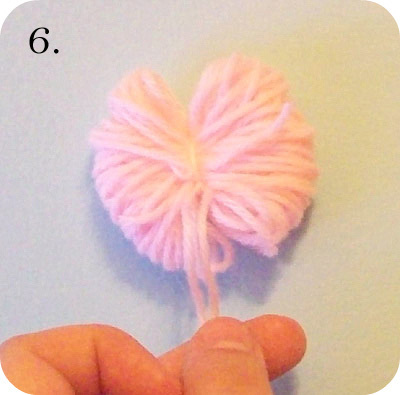 Really cute craft!! Love your blog! I am your newest follower! So many uses! 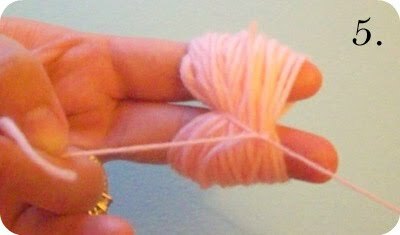 I can see it on a gift. Adorable! Can't wait to try it! Drop by my blog sometime for a little girl chat! You make it look so easy! 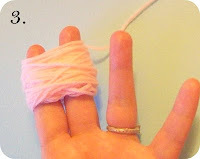 If I would have done it myself it would have been more messy and complicated, that I can promise. You are a dream! Thanks so much for sharing! 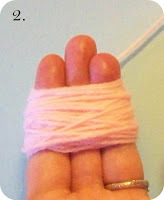 I KNEW there was an easier way to do it! Thanks for sharing!